The confirmation of ferromagnetism at low temperature in a low-doped manganites system is always debatable. It is for the first time, electrical, magnetic, and thermal properties have been measured for manganites single crystal of La0.88Ca0.12MnO3 by using a floating-zone method. The electrical resistivity shows a perceptible change of resistance at a low temperature which can be viewed as a signature of the ferromagnetic phase. The ferromagnetic phase of the investigated La0.88Ca0.12MnO3 single crystal with Curie temperature of TC = 120 K which is in closed agreement with ac-susceptibility measurement. 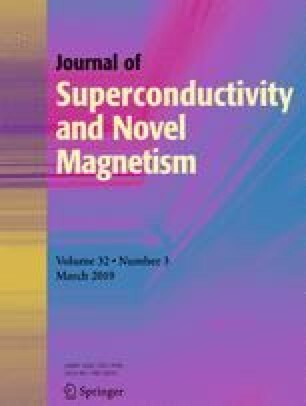 An analysis of the specific heat suggests the transition peak (TP) coincides with the TC and attains 1.2 J mol−1 K at 116 K. The magnetoresistance (MR) and temperature coefficient of resistance (TCR) were found to be 69% and 10% respectively, which expands its subtle potential for applications in spintronics and thermistor. Authors are grateful to UGC DAE-CSR, Indore and IISER, Bhopal for providing experimental facilities. SPS would like to acknowledge UGC-SAP, New Delhi, India, for this work.